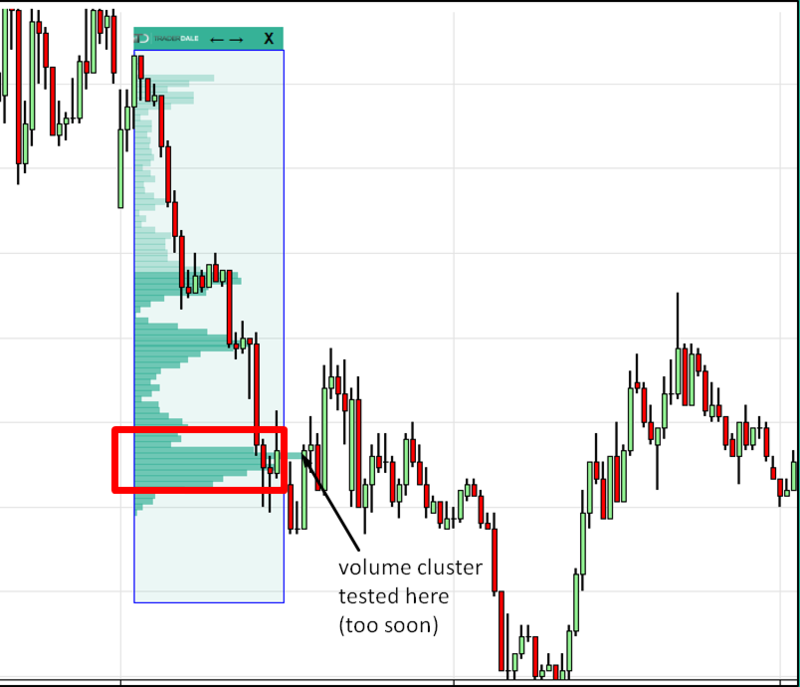 A few months back we ran a webinar with NinjaTrader to break down our Advanced Volume Profile indicator and how we use it in our trading. The duration of the webinar was limited, so I didn’t have time for a Q/E section, but we did receive many really good questions posted in the chat, and later in my email. I decided to answer the most interesting ones here publicly, so you can also benefit and more importantly learn from them. Here we go! Q: Since forex is not centralized through one location – how do you get accurate volume? Use currency futures – These are nearly 100% correlated to spot forex so the charts are very similar. From there, you simply recalculate the futures values into forex values and you trade forex (it is cheaper to trade in my opinion). Futures are centralized so the volumes are precise and dependable. This is the method that I use as I want to be as precise as possible in my analysis. It is sometimes tiring to recalculate the levels though. Especially for USD/CAD and USD/JPY which have their futures counterparts reversed, the correlation is near -100% (not 100%). 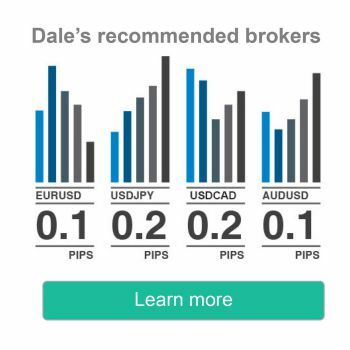 This method only works for the currency pairs that have counterparts in the futures market, which are the major fx pairs. You will not be able to trade currency crosses. Use a good forex data provider – If you use a data feed from a large forex broker that has a big market share, then the volume data they provide will be quite reliable. It is not as good as futures data, but surprisingly it will be very close! I compare forex and futures volume data every day when creating my Daily Levels and usually there is very little difference between them. So I would almost encourage you to use this method. However, sometimes there are things, which you see only on futures data, so this method doesn’t work 100 % (but close enough). Also, you can analyze all cross pairs. Another thing I need to mention is that this problem we talk about only applies to intraday trading, where everything needs to be really precise. If we talk about swing trading or about planning your investments, then you can use simple forex data from a good broker and be fine. A: Yes, Market Profile and Volume Profile are closely correlated. The main difference is that Market Profile only shows how long the price spent on a given price level, whereas Volume Profile actually shows how much volume was traded there. As I said during the webinar – institutions need time to accumulate their positions. For that reason Market Profile is close to Volume Profile. The more time price spends at a given price level, the thicker the Market Profile will be. The same goes for Volume Profile because as the more time at a given price usually means higher volumes. However, this is not always the case, especially when the price moves quickly as institutions are still able to place some heavy volumes into this fast move. I would say that the correlation between Market Profile and Volume Profile is around 70-80%. In my point of view, Volume Profile is the better tool as it allows you to see the true volume and thus it is more likely to be accurate. Q: Do you have plans to support ninja trader 8? does it work on ninja trader 8? 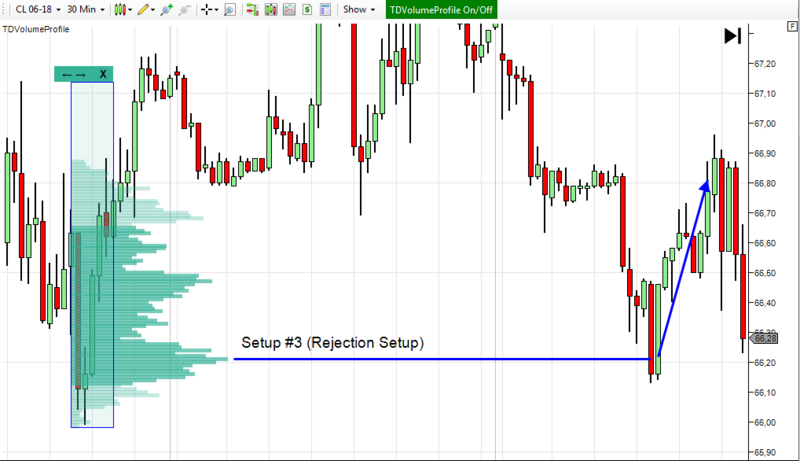 A: My Flexible Profile doesn’t work with NinjaTrader 8. Only with NT7. Right now, I don’t plan to make it for NT 8, but I may do it in the future. I don’t really see a point why to use NT8 now because NT7 works perfectly and the profile runs really fast with it. Q: For how many days do you still consider an untested setup? A: I don’t have a hard rule for that. It is somewhere around 2 weeks (intraday levels). It is pretty interesting how the price reacts even to the oldest levels though. There are cases where the price tested my level after few MONTHS (!!) and still made a very precise and strong reaction. Some of the members of my course trade all the old levels, no matter how old the levels are. I myself feel a bit more comfortable with untested levels within the 2 week period. As far as the swing levels are concerned, I take them all, no matter how old. I don’t mind taking a 1-year-old level. It is fascinating, how good of a memory the market has. Q: Dale, can you tell us about your Take Profit and Stop Loss levels? A: I use 10 pip Profit Target and 12 pip Stop Loss for my intraday trades. Some members of my course prefer to trade intraday trades with 20/20 trade management rules. Swing trading is a bit different because I don’t use a fixed PT or SL. I look for best places for PT and SL instead. For that reason, the values vary, but on average we are talking somewhere in the 100/100 area. Q: Why not just play a breakout of the consolidation instead? Buy above and sell below OCO order? A: The reason is that there are too many false breakouts of the rotation areas and taking all of the breakouts would bring a very low winning ratio. For that reason, I wait to see a very clear sign of strong buyers/sellers. If the price goes upwards 30 minutes after a breakout, it doesn’t necessarily mean that there were strong buyers. 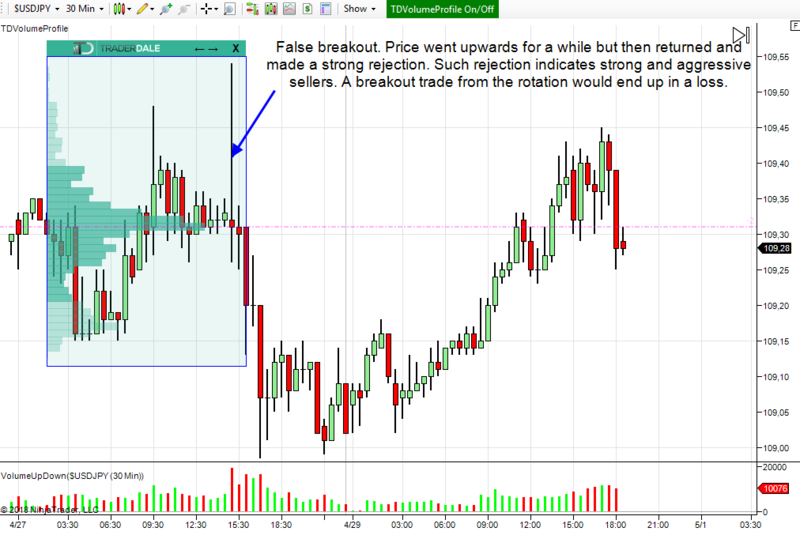 It can still be a false breakout. However, if there is a strong buying activity and the price actually SETTLES above the rotation, then this is the confirmation I wait for. This is the kind of information I like to work with. Have a look at the picture below. First, there was a false breakout of a rotation and only after that, the strong sellers started to push the price lower. So, in the end, the information the chart gave us was: “Strong sellers in the rotation“. Q: There is a third thick volume I see Dale. 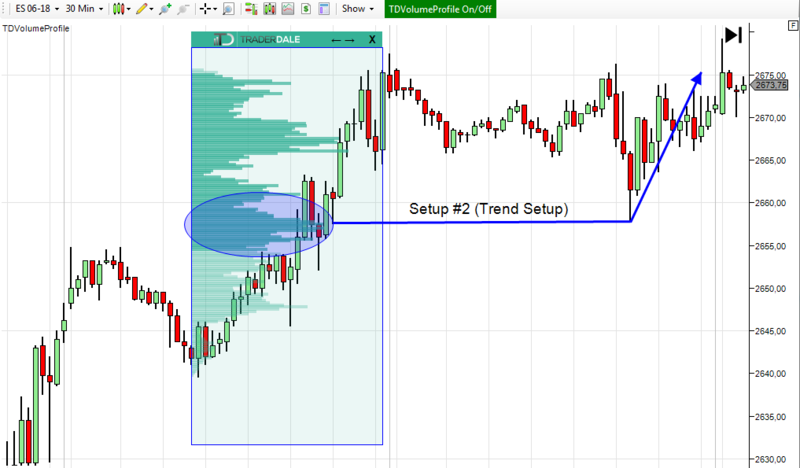 A: This question was related to the 2nd setup (the “Trend Setup“). I was talking about taking trades from significant volume clusters. In the picture, there were three of them, but I only mentioned two. The reason is that the third one got tested too soon. If the price turns too quick and immediately tests the volume cluster, then I don’t take the trade. The reason is that I need some price action below/above the volume cluster as a confirmation that the market participants really accepted the lower/higher prices. Only then can the volume cluster can be considered as a valid support/resistance zone. As far as intraday trading is concerned, I need to see at least 2 hours of price action below/above the volume cluster before considering trading it. Q: What time frame do you use Dale? A: I prefer to use 30-minute timeframe for my intraday analysis and 240 minute (or 1 day) for swing trade analysis. Still, the timeframe is not that important. The most important aspect is volume, not time. You can use 15-minute or 1-hour candles for your daily analysis if it suits you better. Volumes will still be the same and that’s what matters the most. Q: When you draw a line where volume was the heaviest does that line ever break, meaning does price always respond to volume clusters? A: No, price does not always react as there is no such thing as certainty in trading, regardless of the trading strategy you choose to use. Sometimes the reaction simply doesn’t come and I take a losing trade. In those situations where the price just shoots past my level without any significant reaction, then I try to enter a reversal trade. Q: Do CL/ES futures work with this your Flexible Profile indicator? Can I do intraday scalping with it? A: Sure, CL and ES work very nicely with the indicator. Have a look at 2 nice setups below. First is CL, the second is ES. And yes, you can do intraday scalping with it. You can use any timeframe you like. Even the smallest like 1 minute, or tick based charts are fine. Q: Why do you prefer to trade FX directly and not the futures from which you derive the levels? Is it cheaper to trade FX for a round turn compared to futures? A: In my experience, yes. Trading forex is cheaper and more accessible. While this is not the reason I choose to trade forex over futures, it’s also easier for me personally, as most members of the Volume Profile Course trade spot forex as well. In the end, I would really like to thank you for the kind and positive feedback and messages I received after the webinar. Thanks so much, guys, it means a lot to me! I am sorry it is a bit confusing. This article is actually from webinar I had 1 year back and there I was talking about my older NT7 Flexible Profile indicator.